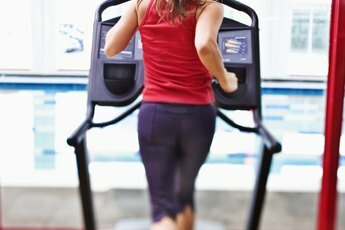 Does a Treadmill Help Stimulate Your Metabolism? 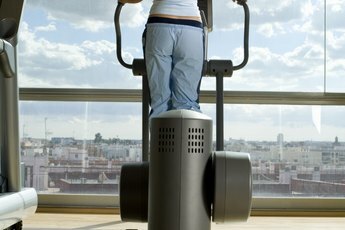 The treadmill helps keep your metabolism active. Metabolisms slow over time no matter how much you may dig your heels in against it. But regular exercise is a great way to keep the furnace stoked and to help keep the body at optimum performance level. The treadmill is a good friend in helping to shake up your workout to keep the metabolism topped up. Metabolism is an all-encompassing term that refers to the energy used by the body to keep it going. The total energy output of all workings of the body is referred to as the total metabolic rate. The basal metabolic rate, or resting metabolism, refers to the amount of energy the body uses to perform only the most vital functions when at rest. The basal metabolic rate can be nudged to a higher level through exercise and conditioning, which means that your body keeps burning calories even after you’ve gotten off the treadmill, cleaned up and fixed your hair. If you’re new to fitness or have just walked back into a regular exercise routine after taking time off, then your metabolism and you will both a get a good boost right from the get-go. However, you want to make sure you’re making good use of your time on the treadmill and getting your heart rate up to the recommended 65 to 75 percent of your maximum heart rate for at least 30 minutes. Walking, incline walking or easy jogging on the treadmill can get your heart rate up without too much overexertion. The more efficiently your ticker runs, the more energy your metabolism uses to keep it ticking. At some point most everybody slams into the dreaded cardio plateau, when your muscles and organs are able to more easily overcome the physical obstacles presented to them. This annoying phenomenon is known as adaptation. Frustratingly enough, the metabolism adapts as well, and what used to jack your engine into overdrive may become a mere hiccup. Interval training is an effective way to shatter a plateau and convince your metabolism to get back in the game again. Alternating intervals of high-intensity walking or running on the treadmill followed by a brief amount of rest can confuse the system into making metabolic and cardiovascular gains again. Intervals can be performed with sprints, or you can play with incline while walking. The key is getting your heart rate close to 90 percent of your maximum for at least 30 seconds, bringing it back down to 65 to 75 percent for at least a minute, and then repeating the cycle all over again. Start conservatively to build up your endurance and work toward repeating the interval cycle for as long as 20 minutes. Perform intervals no more than once or twice a week if working on a five-day cardio schedule, and always allow yourself at least one day of rest between interval sessions. Cardio conditioning is key to getting your metabolism to work for you and for keeping your energy levels high. But be careful of overdoing the exercise or interval training too often. This can lead to possible injury and overtraining. 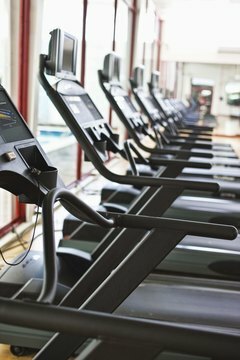 Adding a strength-training routine to your treadmill workout is another way to further elevate your resting metabolism. Muscle burns a great deal of energy just in metabolic maintenance; a good blend of healthy muscle mass and cardio endurance is a beautiful formula for an active metabolism.